Using online video interviews in the hiring process isn’t new. Many recruiters have been interested in the technology for years. You only need to look at the evidence. In 2004 the EEOC received a letter asking about the compliance of online video technology. While the answer from the EEOC confirmed video’s compliance, it’s more important to look at the date. YouTube didn’t burst onto the scene to dominate the online video marketplace until 2005. Even in a world without YouTube making online videos readily accessible to everyone, recruiters were still interested in using this technology in the hiring process. Flash forward to the present and unsurprisingly more recruiters are using video interviewing. It’s no wonder, considering how many people are watching online video. Last year a staggering 800 million tuned in to their computer screens to watch content online. By the year 2016, a study from Cisco predicts this number will jump to as many as 1.5 billion. With these kinds of numbers, it’s impossible for recruiters to ignore the power of using online video to interview talented candidates. One of the best reasons recruiters are adopting video interviews is to save time in the hiring process. According to a study from the Aberdeen Group, in the time it takes to do one phone screen recruiters can do ten video interview screens. 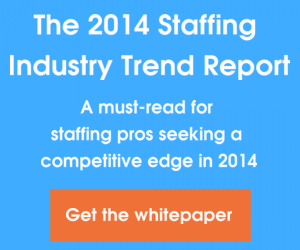 This is a lot of time shaved off the traditional hiring process. Plus, video interviews are helping recruiters to build a better bridge between finding a great candidate and filling out new hire paperwork. Recruiters can cut down on the amount of time they spend in the preliminary interview rounds through phone or even in person. Taking advantage of one-way and live video interviews cuts out some of the fat from this lengthy procedure. This allows recruiters to really focus on securing the best candidates instead of weeding out the rest. If all talented candidates lived in your company’s backyard the hiring process would be a lot simpler, and a lot cheaper. Unfortunately, in the war for talent companies need to look outside their geographical area for the best people. This can get costly when you need to factor in the price of airline tickets and hotel rooms. Video interviews cut these costs entirely. Your company can now interview talented candidates from all over the world with just the push of a button. No long flights or costly travel accommodations needed. Thanks to 8.1 percent unemployment, recruiters are busier than ever. For every position posted the typical hiring manager is inundated with hundreds or even thousands of resumes. This leaves less time to schedule interviews, especially with passive candidates who may have agendas as packed as yours. Video interviewing can make this problem simpler by allowing interviews to occur around a busy schedule. Job seekers can record their answers to employer questions and hiring managers can view these video answers when they have time. Live video interviewing can take place during a lunch hour or even after work if necessary. Now recruiters don’t have to miss out on great, busy candidates due to scheduling conflicts. The flexibility of video interviewing is one of the reasons more recruiters are adopting it into their hiring practices. What do you think? Why do you think more recruiters are adopting video interviewing into their hiring practices? Share in the comments! Are Video Interviews Replacing The Traditional Interview?